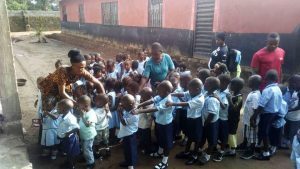 As you may remember, last year the Olney Newton Link was proud to support the building of a new PreSchool – a daytime centre for little people of preschool age who had lost their parents or carers during the Ebola outbreak. We are pleased to hear that the school is now really popular and lots of children have enrolled – both orphans and other youngsters. 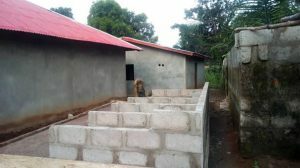 However, so far only classroom and office has been built and there is not yet a toilet block – these little people are having to share the adult facilities in the next door Institute. We are sending over funds so that the work can continue but still need more. It is important that this is completed as soon as possible as the school term has begun and the weather is dry – please help if you can!